Happy New Year – 365 one days at a time! I take this my 101st blog to wish you all a healthy and happy New Year. One Christmas I nearly relapsed! Surviving Christmas once more – for many in recovery Christmas represents one of the hardest times of the year, it certainly always has done so for me. There is so much emotional stuff swirling around my unconscious at this time of year especially regarding my deceased parents which stirs up all sorts of negative emotions as well as grief, feelings of bereavement, anger, trauma etc. This activates my addictive illness quite a bit too. Suddenly alcohol is much more noticeable, stinking thinking increases and I have more resentments and self pity than at any other time of the year. I can find it hard going if I am perfectly honest and am often glad to see it over. I hope you survived this year too! This blog is how hidden trauma mixed with bereavement crept on me a few years ago and I came close to relapse. I came close to relapsing although I, hand on heart, never want to drink again. Even memories of drinking make my ill. Regardless I came close to relapse simply because of unresolved and distressing emotions that can prompt relapse. It explains how distress activates certain brain mechanisms which will drive one to relapse against one’s will. For me it explains, in terms of the brain, why we have no mental defence, at certain times, against the first drink! “One Christmas, I nearly relapsed. I did not wish to relapse, in fact I would rather put a gun to my head and blow my brains out! Nonetheless, I was indeed about to relapse. It seemed urgently inevitable. The emotional distress I had suffered all over Christmas, prompted by sad unresolved feelings about my deceased parents’s had built up, aided by a few bitter arguments with my frustrated wife, into into a sheer, blind terror. A Message of Gratitude at Christmas! On this day, a number of years ago, I was escorted to my first meeting of Alcoholics Anonymous by my wife. I was too feeble and shaky on my legs to walk by myself so had to be escorted. I was deep into Alcoholic Psychosis and was suffering visual and auditory hallucinations. I had not eaten or drank water for months and was at least three stone lighter than my normal weight. I only went to appease my wife. I was convinced it would not work for me, help me with my devastating problems. I had been in psychotherapy for three years and that had not stopped my drinking, in fact, it had gotten a lot worse. I had been to various therapists beforehand, been treated for depression, anxiety disorder, panic attacks etc. I had once been a dedicated, if not over zealous, Buddhist for a couple of years. My wife had stuck with me for years through thick and thin, mainly thin. In the last six months she had come back from work every day wondering if this was the day that I had finally killed myself. Put myself out of my profound misery. Somehow I had clung on, through imaginary exhortations from the BBC weather girl telling me to kill my self, through the chronic paranoia and the imminent visit to my front door of the imaginary gang that were about to take my life, through the constant dry wretching, the almost uncontrollable shakes. Worse than any of this, believe it or not, was the fact that the drink, that alcohol, had stopped working. It only served to stave off the edge of the hallucinations and then prompt their worsening intensity. There is a worse place than dying, I have lived there for quite a while. This is a progressive disease I can assure you of that much. If it is bad now with you, it will get much worse. This is my experience. It takes your life away and then kills you. If you can get off the train before this destination I implore you too now! They did not tell me when I bought my first drink that it would take me to hell one day, it did not have a label expressing caution, not suitable for potential alcoholics. I was addicted to alcohol, completely, drinking every minute of every day and night, sleeping 15 minutes before waking to wretch or to drink or both. The nightly sweats and the delirium tremens. I only got AA because the drink had stopped working. I only got AA because I had no choice. I only got AA because I had surrendered completely. I only got the Big Book because it was written by fellow “last gaspers”. I only got AA because you spoke my language, thought and felt like me. You are my people, my tribe. I only got AA because I realised it was the home I was looking for. You were like me and me, you. I identified with you. I saw me in you. I saw for the first time that I could belong to a “we”. “We of Alcoholics Anonymous..” I never thought belonging was for me. In truth I never thought I was good enough for you and yours. Whoever you and your’s were? I was an emotional Steppenwolf banishing any sense of belonging to anything. It is my sincere hope that you, someone you know, who needs help can experience a similar feeling of belonging this Christmas period. That they can begin a life changing journey. Be reborn. Please give AA a go and if you do not like it we can also refund your misery. That is the price isn’t it, of membership? AA saved my life and gave me a life much more profound than I could ever have imagined. It keeps getting better too! The best present ever this year would be to know that passing the message on has helped get someone to a meeting and helped someone take those tentative first steps in recovery. You are not alone. We are here to help. God Bless. 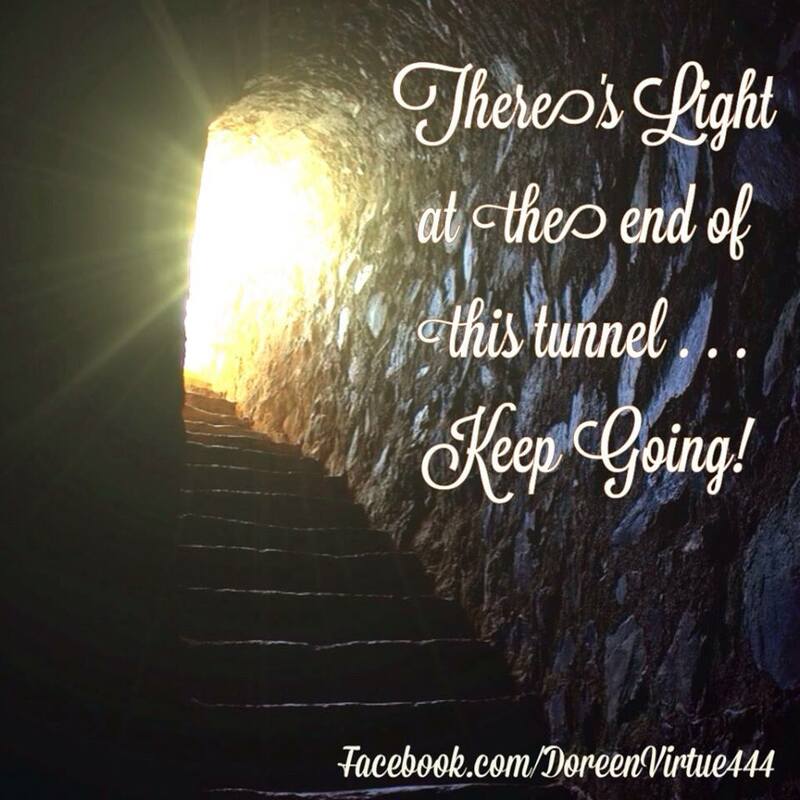 A Message of Hope at Christmas – We Do Recover!! I have heard various statistics about rates of recovery of the years, especially in AA. Some of the figures were depressing low and often go unchallenged which can be demotivating for those seeking recovery. Why AAs in particular spread distorted statistics which suggest hardly any one recovers is open to question? Out of all the people I know who were in treatment before me and in the group after me, as well as with me and who completed the entire course of treatment most of them, i.e. a high majority of at least 3/4s, are still in recovery. This suggests to me that those who seek treatment, whether 12 step based treatment or via taking the steps, with fearlessness and honesty, do actually recover long term. So why is this sort of statistic not well know? There can be no greater motivation to recover than knowing that the vast majority of people who do engage in treatment do actually recover! I recently came across an excellent article on this by Dr. Omar Manejwala, former Medical Director for Hazelden Foundation, one of the nations oldest and largest addiction centers in the US. I will quote from his blog here. Do people who get sober actually stay sober? Can’t you ever be free of addiction? Are you always at risk of relapse? Is there some period when, like cancer, you are considered to be “cured”? Isn’t staying sober for a long time at least somewhat protective? In my experience treating thousands of addicts, I’ve learned that cases like these can often diminish hope and create a perception that these conditions aren’t treatable, or that addicts can never be trusted. When is an addict or alcoholic sober long enough to be considered at least relatively safe? Do most people with addiction who have been sober a long time eventually relapse? In scientific terms, what is the natural history of recovery from alcohol and drug addiction? I’ve seen numerous experts speak up in the wake of Hoffman’s death, but few have offered hard science on what we really know about how a person’s duration of sobriety is related to their chances of being sober in the subsequent years. Fortunately, there are data to support the idea that recovery is durable, and that the vast majority of people who stay sober for a long time will continue to stay sober afterwards. Only about a third of people who are abstinent less than a year will remain abstinent. 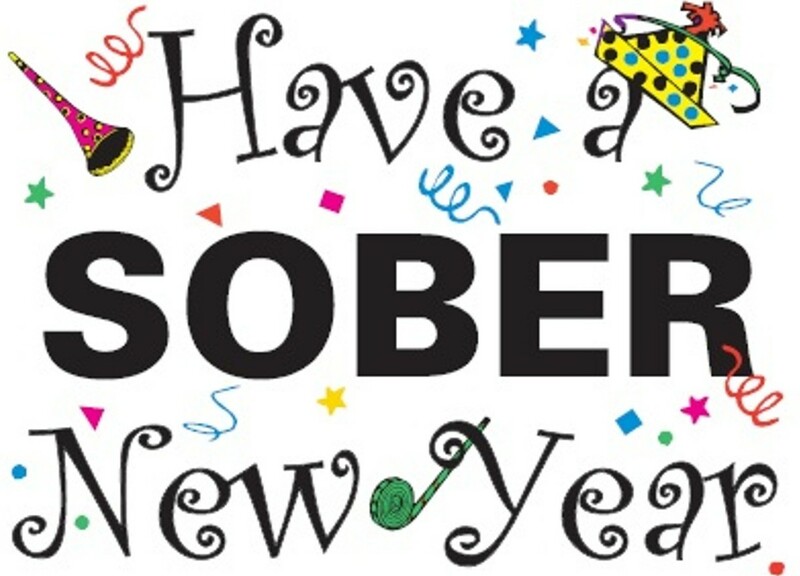 For those who achieve a year of sobriety, less than half will relapse. If you can make it to 5 years of sobriety, your chance of relapse is less than 15 percent. Of course, there are many people with 10, 20, 30 or even 40 years of abstinence…. My experience is that people with decades of abstinence clearly can and do relapse, but the incidence is very low. Like Hoffman and many others, it’s always heartbreaking when it happens. I’ve seen it triggered by opiate prescriptions, acute pain and other life stressors. Often the people who relapse have stopped engaging in the recovery-oriented practices that served them well during their earlier sobriety. Copyright Omar Manejwala, M.D. 2013. Dennis, M. L., Foss, M. A., & Scott, C. K. (2007). An eight-year perspective on the relationship between the duration of abstinence and other aspects of recovery. Evaluation Review, 31(6), 585-612. A Cognitive-Affective Model of Craving – Addiction Recovery Blog – addictionland.com. What is Craving? – Addiction Recovery Blog – addictionland.com. When fighting your neural ghosts make sure to surrender!! – Addiction Recovery Blog – addictionland.com. Do I still have an “Alcoholic Mind”!? – Addiction Recovery Blog – addictionland.com. The so-called resonance circuit, discussed in our previous blog, operates in the brain of the parent attuning to his or her child; it’s what stimulates the developing brain of the infant to process and know its own experience; its experience metabolized and reflected back by the parent becomes encoded in the infant’s neural circuitry. Because you know what’s in my mind and heart, I can know it, too. These patterns do stabilize in the brain by 18months of age, rendering them as Cozolino says, of permanent psychological significance. This resonance circuit helps us understand the neurobiology operating in the development of each of the four styles of attachment identified over 40 years of attachment research. How relational experiences, the meaning the developing brain gives those experiences, create conclusions or models of how life works. These models create anticipations of what to expect in the future which shapes, filters, distorts our perceptions and response which can reinforce our conclusions. None of this is an issue if attachment is secure, but this process is very much an issue if attachment is less than secure. These distortions become the Truth of the Way Things Are. They become defenses which block learning and prevent change. Mary Ainsworth at the University of Virginia identified three styles of attachment that have since been proven to be universal across cultures: secure, insecure-avoidant, insecure-anxious. Mary Main and Erik Hesse of U.C. Berkeley discovered a fourth less common style – disorganized – occurring within the other three styles rather than all the time. Then the attachment style that develops in the child is likely to be Secure: the child feels safe and protected, feels “felt” in their own reality; feels affects regulated and soothed; learns to self-soothe; develops trust of the caregiver as a safe haven, internalizes mother as a source of comfort, the child pro-actively seeks connection, trusts its own capacities to activate a response; the child expects others to be attentive, helpful, encouraging of autonomy; there is a flexible focus on self-other-world. Securely attached children are likely to become Secure-Autonomous adults. They believe relationships are generally safe and people are generally helpful; they are comfortable with emotions, intimacy, inter-dependency; they tolerate relational frustration well; are optimistic about relationships lasting and being satisfying. If the parenting style of the parent is Dismissive: the parent is indifferent, distant, neglectful, absent, rejecting, shaming, blaming, critical, judgmental, physically-emotionally unavailable, ineffective in regulating affect. Then the attachment style that develops in the child is likely to be Insecure-Avoidant: the child withdraws from interactions, is seemingly indifferent to parent; the child doesn’t seek or expect comfort or soothing; there is a defensive exclusion of affects (numbing out); there is a focus on self or world, not other. Insecurely-avoidant children are likely to become Insecure-Avoidant adults: emotionally shut down; devaluing relationships and feelings; uncomfortable with intimacy, vulnerability, dependency. There is difficulty trusting; they can be aggressive or hostile. If the parenting style of the parent is Pre-occupied: inconsistent, unpredictable, sometimes attentive and loving, sometimes harsh or punitive, sometimes over-involved, sometimes off in their own world. Then the attachment style that develops in the child is likely to be Insecure-Anxious: the child is insecure about the reliability of the parent for safety-protection; they are not easily soothed; ambivalence: they are sometimes clingy and possessive, sometimes angry-defiant. There is an internalization of anxious mom. There is a focus on others, not on self. Insecurely-anxious children are likely to become Insecure-Anxious adults: they are subject to abandonment fears; there is chronic vigilance about attachment-separation, there is emotional dysregulation and anxiety, passivity and lack of coping; there can be a victim stance. Then the attachment style of the child can become Disorganized: the child can become, even temporarily, helpless, paralyzed, fragmented, chaotic dissociated; they cannot focus; they cannot soothe. Experiences of disorganized attachment can lead to an Unresolved/Disorganized adult: there are difficulties functioning; they are unable to regulate emotions; there are dissociative defenses. What’s happening in the brain as these attachment styles operate in adult life? When a person is experiencing the safety of a secure attachment relationships there is no over-arousal of the sympathetic nervous system; everything is OK and humming along. There is a flexible balance of stimulation – vitality – and regulation – calm or ease. When there is insecure attachment – either style – there IS arousal of the SNS. Relationships mean danger, so the brain prepares for flight or fight. In insecure-avoidant attachment, the coping mechanisms of avoidance, withdrawal, minimizing, focusing externally, over-regulate the body and any emotional signals that might come through. There is flight from feelings and people. There is a shutting down of core affect, a de-valuing the importance of relationship. A person may be functioning well in the outside world but clueless about interpersonal interactions or even their own inner world. They can present as under-stimulated and over-regulated. In insecure-anxious attachment, the sympathetic nervous system is over-stimulated and under-regulated. The personal can feel flooded with stress, fear of abandonment, panic and not be able to self regulate enough, not enough calming of the parasympathetic nervous system. There is energy for fight; people engage through anger aggression. In disorganized attachment, “fright without solution,” there can be such a sense of danger or life threat, even the momentum of the amygdala, the flight-fight response, collapses. Only the brainstem is operating. The parasympathetic nervous system over-regulates bodily energy to the point of paralysis and helplessness. The coping strategies in less than secure patterns of attachment are defensive – they create barriers to emotion, to the full range of human emotions that are important signals of what to pay attention to in our lives and in others’ lives. They create barriers to the skillful regulation of emotion, creating avoidance or flooding rather than skillful experiencing, processing, managing, moving through. They create barriers to healthy relating, if relating is going to trigger unbearable emotions of fear, shame, loneliness, despair – regulating closeness-distance by dismissing, focusing on self rather than other, or clinging, focusing on other rather than self, or by losing focus altogether, rather than flexibly focusing on self and other, the hallmark of secure attachment. It is difficult not to see the “personality” of an addicted individual in some of these descriptions of insecure attachment – the emotional immaturity and self obsession that frequently accompanies those with addiction. I believe there is an inherent emotional and stress dysregulation in addiction and this is partly accentuated by insecure attachment. This stress dysregulation also appears to reduce the ability to process emotions. Emotion processing theorized as Alexithymia is reported to increase in the addiction cycle, so initial emotion and stress dysfunction becomes more severe, partly via the toxic effects on emotional regions of the brain by chronic substance consumption. Also in some prominent theories of addiction is altered stress systems that drive the addiction cycle. For many addicts this may partly be the consequence of insecure attachment. A main issue with altered stress systems is that they have direct consequence on many other neurotransmitters such as dopamine. Stress reduces dopamine and causes us to initially like more than those without altered stress systems (it heightens our reward response and motivates us to repeat a certain behaviours such as consuming drugs) it then leads to us pathologically “wanting” more and finally it contributes to compulsive drug seeking and taking. Recovery acts is so many ways to dampen this stress/distress response. In doing so it increases all the neurotransmitters responsibly for adaptive behaviours such as GABA, the natural brakes on impulsive behaviours, oxytocin, natural opioids, serotonin and dopamine. By reducing stress/distress through our new secure attachment to groups like AA we can rebalance the brain’s actual bio-chemistry. In time this alters the brain and the brain recovers just like the soul. The heart is also put under less strain. There is a reciprocal relationship between heart rate variablity and emotional regulation in fact HRV is said to be an index of HRV. Hence we regulate our emotions essentially via our hearts. We learn to live in manner that is not constantly “fight or flight” like a constant state of emergency. We begin to find some peace, find we like it and want more. Unlike other things we have wanted more and more of in our lives, it is difficult to argue against too much peace. John Bowlby, British psychoanalyst, founder of attachment theory, hypothesized that attachment is all about safety and protection and emotional regulation in times of perceived threat or danger. Attachment is part of a 3-part motivational system of fear–attachment-exploration. Fear triggers attachment behaviors. The safe haven of secure attachment soothes the fear of the amygdala, and opens exploration. Exploration eventually bumps us into something that triggers fear again which shuts down exploration and triggers attachment behaviors again which soothe the fear again and open exploration cycle of safety-exploration again. It has been amply demonstrated by Allan Schore that the need for emotional regulation is what drives attachment behaviors. Affect regulation is the engine of attachment and attachment is what drives the development of the pre-frontal cortex, the brain structures that do that. Dan Stern and Peter Fonagy have amply demonstrated that it is the need for empathy, the need to be seen, understood and reflected that drives the intersubjectivity that develops theory of mind. I know that you know what I know and I know that you can also know something different than what I know. So how parents use empathy and bonding and reflection to regulate fear, anxiety and shame, and soothe the firing of the amygdala, and help the other discover who they are by seeing and accepting them first, this attunement and feedback are so very determinative of attachment patterns. So, even before consciousness develops, the parent is regulating the emotions of the baby through their own pre-frontal cortex, brain to brain regulation. The baby is “borrowing” the PFC functioning of the parent to regulate their emotions. And the baby is introjecting the reflections of who they are from the parent to develop the internal working models of who they are in relation to the other. As the baby’s PFC develops from these experiences, they can begin to regulate their emotion on their own. They can begin to have self-awareness and self-reflection on their own. morality – behaviors based on empathy. Research has shown that 7 of the 9 functions of the PFC are outcomes of secure attachment. The laterality of the two hemispheres of the cortex is important here. The right and left hemispheres of the brain develop at different rates and specialize in different functions, allowing a much greater complexity of functioning than if they were duplicating each other. The right hemisphere of the brain grows larger in volume and more rapidly than the left, from before birth through 18 months of age, which completely coincides with the developmental timetable of when attachment patterns are being stabilized in the brain. These patterns of attachment are stored in our memory in the mode of RH processing. The right hemisphere processes experience differently from the left – non-verbally through body sensations, visual images, emotions, and holistically – it processes the gestalt of someone’s face or energy globally, all at once, rather than in a linear data bit by data bit mode. The right hemisphere is where we get our “gut” intuitive sense of things and the gestalt of things as a whole. The right hemisphere is the seat of the social and personal self. The right hemisphere regulates the sub-cortical limbic system and is dominant for social-emotional processing. Our attachment patterns are stored in this mode. The left hemisphere is developing all along but goes through a growth spurt from 18 months to three years of age and becomes dominant after that, except for a period of re-organization during adolescence. This adolescent period coincides with the need for attachment patterns to change, moving the focus from leaving parents to focusing on peers and forming one’s own family. The left hemisphere of the brain processes logically, linearly, linguistically, through symbols and words; it is dominant for cognitive processing. Remember, both hemispheres do process experience consciously, it’s just that what comes to consciousness in the right hemisphere is images, sensations, emotions and what comes to consciousness in the left is words and symbols. The right hemisphere decodes our relationship experience; the left hemisphere describes it. Because the right hemisphere develops early and the left hemisphere develops later, and because the right hemisphere is more neuronally connected to the limbic system than the left, it has a negative bias toward anxiety, shame, depression and withdrawal, which can impact our experience of attachment and make it harder to change those patterns. There is a corresponding bias in the left hemisphere toward positive emotions, humor and mania, and approach. The corpus collosum, running right down the middle of the brain front to back, is what begins to integrate the information between the right hemisphere and the left hemisphere at about 12 months of age. What’s important about any of this brain functioning is integration. The brain is about teamwork; various parts of the brain firing together in synchrony. How attachment shapes the brain and what patterns of attachment are embedded in the neural circuitry of the brain that shape our 3 R’s , relating, regulation of affect, and resilience, for the rest of our lives. Dan Siegel has proposed a resonance circuit in the brain. * that become our internal working models, templates, schemas, mental representation of self and other in relationship. his resonance circuit begins with sensory input – what we see, hear, smell, touch of another. Then mirror neurons, which were discovered in the cortex at the crossroads of visual, motor, emotional processing, communication, language, cohesion and empathy not even a decade ago, fire when I observe and comprehend an intentional behavior in you. The exact same neurons fire in my brain as are firing in your brain when I observe the intention of the behavior you are doing, or when I imagine myself doing it. If you make a random gesture of moving your hand toward your mouth, nothing much happens. If you pick up a glass of water and move it toward your mouth, the same neurons are firing in my brain as I perceive and comprehend your intention as are firing in your brain as you do that intentional behavior. When we are attuning to another’s behavior and expressions of intention – facial expressions, body gestures, tone of voice, mirror neurons fire in our brain. Information from these mirror neurons travels from the cortex of our brain through the insula – a structure buried deeply in our brain that is located at the interface of the cortex and the limbic regions. The insula carries information down from the cortex through the limbic regions to the neurons of interoception – how we sense what is happening internally in our bodies. The information gathered through interoception, tension, tightness, tiredness, travels back up through the insula through the limbic regions where the sensations are given emotional meaning, back up to the structures of the middle pre-frontal cortex. The insula integrates somatic experience with conscious awareness. We feel pain when another feels pain. Cozolino notes that this insula, though a very small part of the brain, is an evolutionary masterpiece. Remember one of the 9 functions of the pre-frontal cortex is attunement – we interpret our felt sense of the other’s experience. Another function of the PFC is empathy – to communicate that felt sense, nonverbally being even more important than verbally. This resonance circuit is essential to stimulating growth of all 9 functions of the PFC, including regulation of body, regulation of emotion, extinguishing fear, response flexibility, self awareness etc. This resonance circuit operates in us by attuning to others – this I believe is what occurs in group therapy and 12 step/recovery groups – as others and ourselves experience others attuning to them as they share their experience are also receiving our unconditional acceptance of that experience which re-wires their sense of it and their sense of self. I also believe that these therapeutic groups act as the external PFC mentioned above, especially to those in early recovery who are effectively limbic regions on legs, one constant emotional over reaction. They help regulate emotional responding in those essential days of early recovery. It is this exterior self soothing that is essential in keeping newcomers coming back. It tells them we can love you back to health, it proclaims through loving action that the thing you are really looking for is here, love, tolerance and acceptance. The thing you have been looking for all your life! It tells then clearly that you belong here! We will refer back to this blog because the regions of the brain implicated in the so-called “resonance circuit” are seen by affective neuroscience as those regions which govern emotional processing and regulation. Hence why I consider addictive behaviours to be the result of an emotional disorder. Thus insecure attachment may cause the impairment that has been demonstrated in all areas of this emotional circuity such as the amgydala, orbitofrontal cortex, ventromedial cortex, insula, anterior cingulate cortex, hippocampus and so on. These regions have all been demonstrated to be have altered neural connectivity in all addictive behaviours and also to have altered anatomical volumes. In other words, these regions do not work properly, in regulating emotions . This is why it is very useful combining affective neuroscience with more psycho analytic theories such as attachment theory. It clearly shows how environment can shape regions of the brain and how these anatomical impairments are perpetuated via emotional processing and regulation deficits which result in addictive behaviours. Addictive behaviours are thus the manifestation of underlying emotional dysfunction often caused by insecure attachment and child maltreatment. Hence in treatment we have to mirror what was missing and replace what was abusive with what is healing such as being around people who accept us for who we are without conditions. It is then that environment can alter the brain and behaviour. Helping others can reshape emotional regions of the brain via neuroplasticity and help us recover. “What fires together, wires together” as this article states. Love and tolerance is the code of many and it helps us as well as others which is the basic philosophy of treatment and 12 step groups. We are social animals after all. Love rewires the brain literally. Helping others is good for us too.